Wondering which floor tape would work best in your facility? Do you need a basic vinyl tape, a heavy-duty tape, or something that can even withstand the pivoting wheels of forklifts? Not sure what tape to buy? 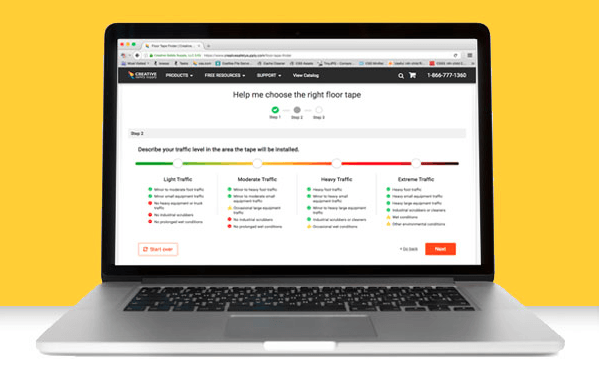 Use our new Floor Tape Finder to quickly get the answers. Our web-based Floor Tape Finder will help you quickly sort through the types of floor tape available to pinpoint the tape(s) that would work best for the environment in your facility. You just need to answer a few questions about the types of floors you’ll be marking (e.g. smooth concrete, tile, gym floor, etc. 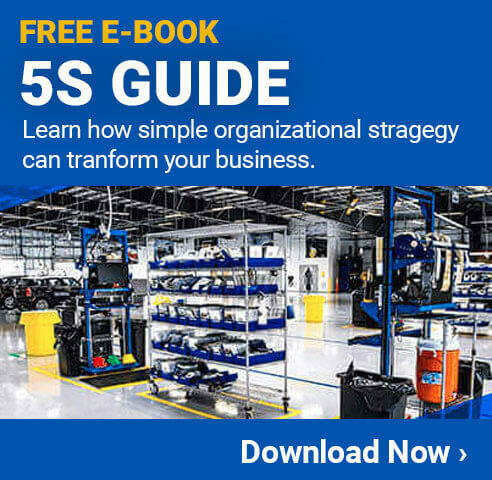 ), the levels of traffic, the types of cleaners and equipment used for maintenance, and a few other special circumstances that may or may not apply to your facility. Then the tool will suggest the best tape options for you. This means you can feel confident the product you purchase is the one you actually need. You won’t have to worry about the tape getting damaged or wearing out too quickly. You also won’t need to worry about spending too much money on a more industrial tape than you actually need. You can also see our full line of floor tapes including SafetyTac® tape, Smart Stripe Tape, and 5S Tape at our Floor Marking Tape page. And if you try out the tool and still have questions about using floor tape, get in touch. We’re happy to help you create a floor marking system that fits the needs of your workplace.